Our Midtown, New York family dental office provides Invisalign to our patients. 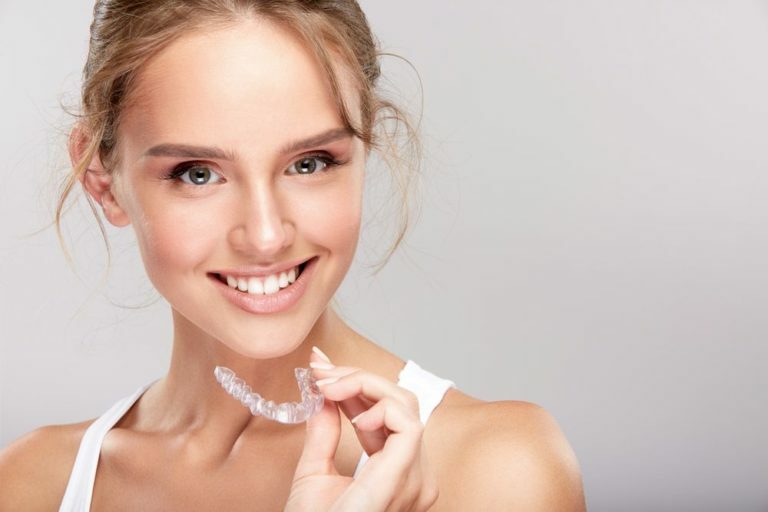 Invisalign is a unique state-of-the-art orthodontic therapy that straightens teeth without the use of metal brackets or wires. Instead, Invisalign uses a series of plastic alignment trays similar in appearance to a clear retainer. These trays slowly move the teeth into the desired position and are replaced with a new set of trays every few weeks. Not only does a straighter smile increase self-esteem, but also it can also greatly affect the impression that you make on others. One study showed that people that had more aesthetic smiles were more likely to be offered a job during an interview, and a higher starting salary than their competitors. Invisalign braces are one of the most comfortable orthodontic options available. There is never a chance for broken wires, brackets or irritation to the delicate cheek tissue. If you’ve been looking for a comfortable braces option, our family dental office in Midtown, New York can help. Contact us today for an Invisalign consultation!